In 1885-86, this building served as the United States Land Office. 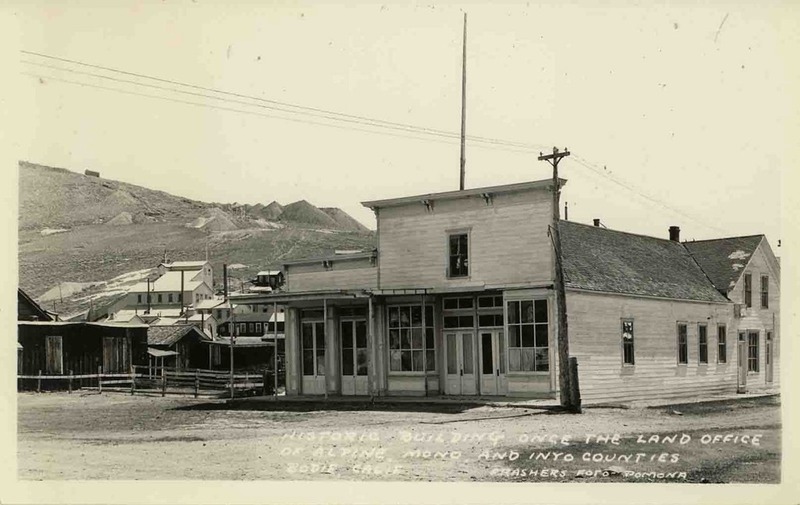 The Land Office was established on January 5th, 1879 and was moved here later. It’s purpose was to handle the applications for the purchase of the government land, and to receive the money for those lands. H. Z. Osborne was the first ‘Receiver of Public Monies for the Land Office, and proved to be quite crooked. When purchasing timber land, an ad had to be placed in a local paper for the public to see. Osborne allegedly waited until he purchased a portion of the Bodie Free Press, then placed 32 ads at once. Not only that, he charged $15 for each ad, which he then placed for only $10 each. He continued to do this until the Standard (another paper in the area) published a line at the top of their advertising page, stating that ads were just $10. Osborne quickly stopped charging his amount. In order to keep things honest, Osborne’s partner in the Free Press, E. R. Cleveland, was appointed Registrar and Osborne then became Receiver. However, they still had a conflict of interest. People would come to purchase land, and would likely place the ad in the Free Press simply because it was quick and easy. When the Land Office business slowed down in the 1880’s, the Free Press suffered great losses. Osborne resigned from his position, and H. L. Childs took the spot. In 1885, M. J. Cody (the father of Ella Cain) was appointed Receiver, and at some point, a Walker was appointed Registrar (possibly Dr. David Walker). In 1886 when the Land Office was ordered to relocate to Independence, Walker and Cody stayed in Bodie and gave up tier positions. 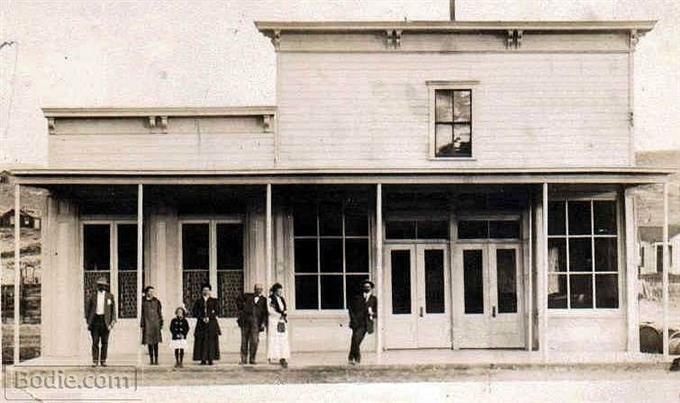 In later years this building served as the office for the Power Company, the Bodie Store and finally the Wheaton and Hollis Hotel. The band "U2" in front of the Wheaton & Hollis Hotel. 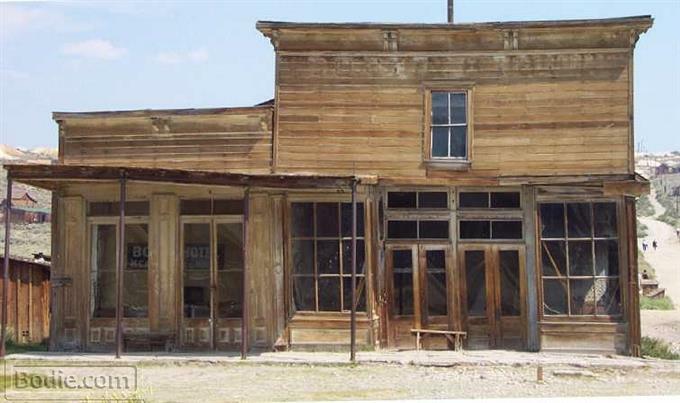 Fashers Foto - "Historic building once the land office of Alpine, Mono and Inyo Counties - Bodie, Calif."